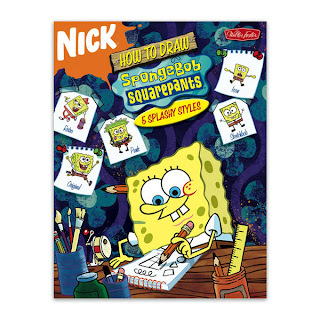 With How to Draw SpongeBob SquarePants: 5 Splashy Styles, you’ll be seeing your favorite bubbly yellow sea sponge and his nautical neighbors in a whole new light. Inside, you’ll learn to draw SpongeBob, best buddies Patrick Star and Sandy Cheeks, neighbor Squidward, and more seaworthy friends in five special styles: original, retro, punk, icon, and sketchbob! It’s a special peek at the Bikini Bottom characters beyond the TV show that you won’t want to miss! (32-page paperback, 8.5" x 11"